Maria Montessori was one of the first woman to become a medical doctor in Italy. She became interested in children and opened her first school in 1907. Maria published her first book, The Montessori Method, in 1909. She scientifically observed children from various ethnic, cultural and economic backgrounds from birth to adolescence over a period of fifty years. Her work spread throughout the world with schools in South Africa, Europe, the United States, Asia and Australia. At The Cotswold Country Montessori School we follow this internationally recognised method, which is built on the philosophy of “following the child”. The philosophy encourages children to develop at their own pace and makes use of concrete materials to help them understand abstract ideas as they progress toward independence. Concrete materials also give Montessori pupils an excellent math and language foundation and understanding. The materials or equipment in a Montessori classroom have a dual purpose. In addition to their immediate goal of giving specific information to the child, they prepare the child for a later skill e.g. 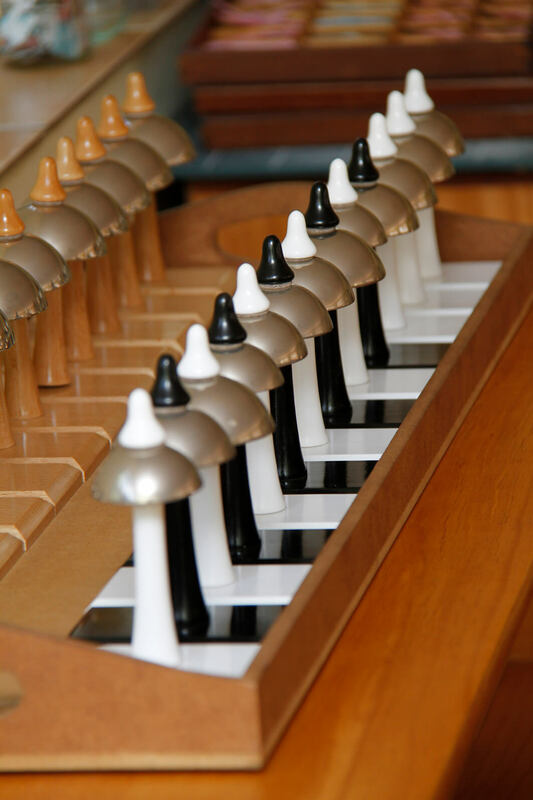 knobbed cylinders discriminate size and strengthen the hand for later writing. The prepared environment is the centre of learning for the Montessori child. The Montessori classroom is indeed the child’s world, geared to their size, pace of learning and interest. Because children work individually with the materials there is no competition. Each child only relates to his own work and progress and thus builds up a positive self-image. The Montessori Method is a comprehensive educational approach from birth to adulthood based on the observation of children’s needs. Children in a Montessori classroom learn by making discoveries with the materials, cultivating concentrating, motivation, self-discipline and a love of learning. 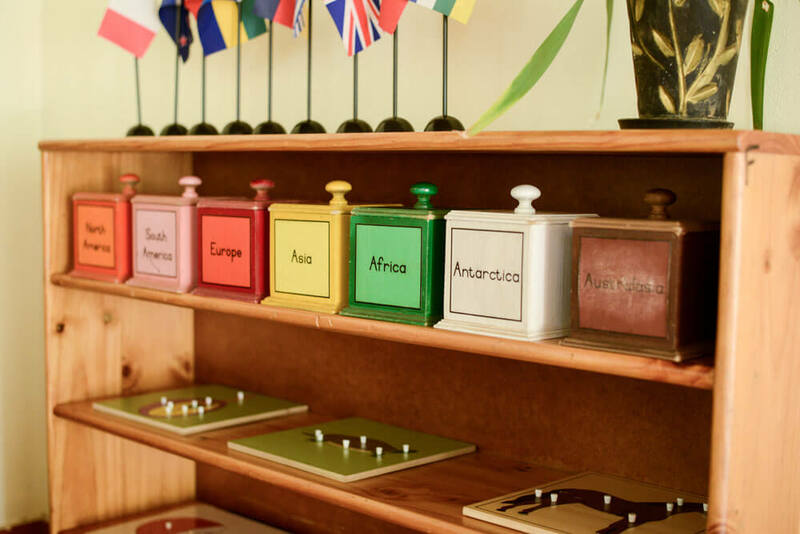 The Montessori Method offers a wide vision of education as an “aid to life”. It is flexible and allows the child to develop naturally giving guidance and inner direction towards a holistic growth. Montessori classrooms are prepared environments giving the child the opportunity to respond to their natural tendency to work. The child’s innate passion to learn is encouraged by giving them the opportunity to spontaneously engage in purposeful activities with the guidance of an adult. Through this the child learns to concentrate, develops self-discipline and a love of learning. In an ordered environment, the child advances at their own pace and according to their own developmental capabilities. 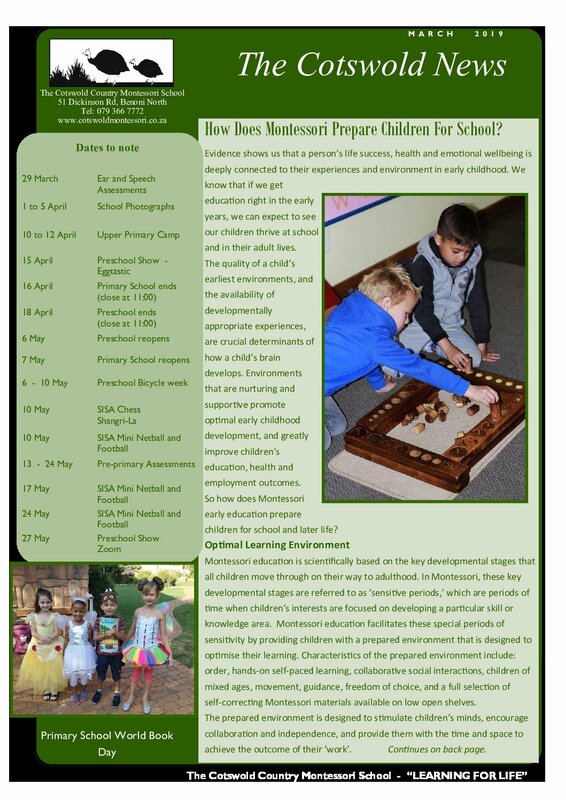 Children move from birth to adulthood through a series of developmental phases and the Montessori practices change to embrace the child’s changing characteristics and interests. There are four phases or planes of development. The first plane is from birth to the age of six years old. This phase is characterised as the “absorbent mind”. The child absorbs all aspects of their environment, language and culture. The second plane is from age six to twelve years where the child begins to use the “reasoning mind” to explore the world with abstraction and imagination. The third plane of development is from twelve to eighteen years of age where the adolescent has the “humanistic mind”, eager to understand humanity and how they can contribute towards society. The last plane is from eighteen to twenty four, where the adult explores the world with a “specialist mind,” taking their place in the world. 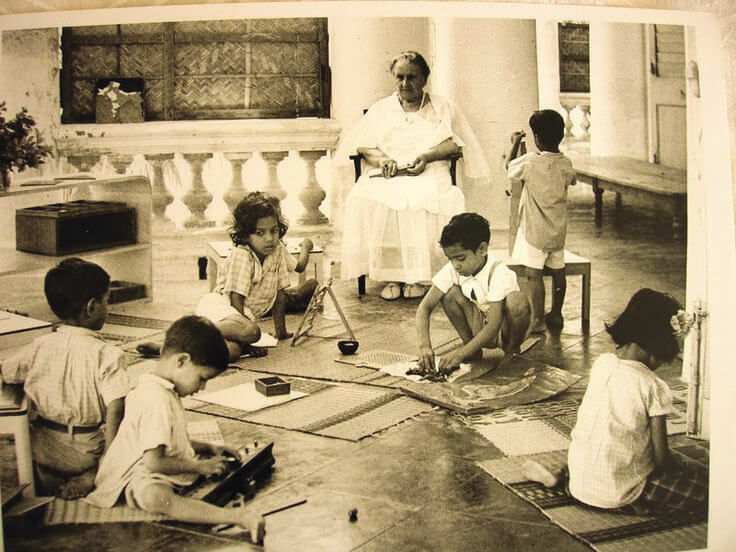 Maria Montessori believed that if education followed the natural development of the child, then society would gradually move to a higher level of co-operation, peace and harmony. Learn more about our preschool and primary school programmes today! The Montessori classroom is not merely a place for individual learning. It is a vibrant community of children, where the child learns to interact socially in many ways. Walk into a Montessori classroom anywhere in the world and you will see happy, busy children working purposefully in typically beautiful and enticing classrooms. Great care is taken into making an environment that will strengthen the child’s independence and self-discipline. This is achieved in three ways: beauty, order and accessibility. The Montessori materials and equipment are beautifully crafted and displayed on shelves low enough for children to access. Each piece of material has a specific purpose and is presented to children in a manner which will enable them to direct their own learning. 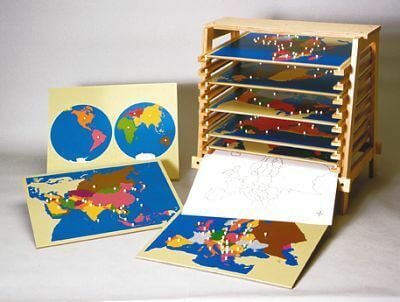 Montessori materials are designed to stimulate the child’s logical thought and discovery. They are enticing yet simple. Each piece of material presents one concept or idea at a time. If a child does something incorrectly the ’control of error’ will be self-evident. Being able to see one’s own errors allows the child to work independently e.g. all cubes in the Pink Tower are pink. The only change is a change in size. The child will begin to see that cubes are built from largest to smallest. The three – year age range in a classroom enables older children to teach younger children, become mentors and leaders and learn much about themselves from this experience. The younger children are inspired to more advanced work through the observing of the older ones. Independence: the environment is prepared to enable the child to become physically independent of the adult. Order: materials are arranged in an orderly way in prepared environments. Freedom: fundamental to the prepared environment is the child’s freedom to choose, to work for as long as they want and to work without interruption by others. Choice: the environment gives the children the opportunity to choose materials with which they would like to work with and are suitable to their developmental needs. Materials: the materials in an environment must be suitable for children’s development. Indirect preparation: activities are prepared with their own development aim in mind but also prepare the child for something that will come later in their development. Movement: the environment must allow the child to have freedom of movement essential for their development. Control of Error: the environment and materials should be prepared in ways that allow children to become aware of their mistakes and how to correct them. Mixed Age range: another essential part of the environment is the formation of a community with a three year age range. This allows children to learn from each other. Role of the Adult: the role of the adult in a Montessori classroom is to facilitate the child to teach himself by following his own learning urges. Based on helping the natural development of the child. Children learn at their own pace and follow their interest. Children learn from using materials specifically prepared for the purpose. Understanding comes through the child’s own experiences and using the materials. Learning links physical exploration and cognition. Child can work where they are comfortable, move around, talk at will yet not disturb others. Teacher works in collaboration with the children. The child’s individual development brings its own reward and motivation. Environment and method encourages internal self-discipline. Child works as long as they wish on a chosen project. Shared focus on the acquisition of academic, social, practical and like skills. Based on the transfer of a national curriculum. Children learn from a set curriculum according to time frames that is set for everyone. Children are taught by a teacher. The child is a passive participant in learning. Learning is based on subjects and is limited to what is given. Children sit at desks and learn from a whiteboard and worksheets. Child have their own chair and are encouraged to sit still and listen. The class is teacher led. Motivation is achieved by a system of reward and punishment. Child is generally given specific time limits for work. Working and learning without emphasis on the social development of the child.